SCCi was recently awarded a capacity building grant from the Lyndhurst Foundation. This grant funds 2 positions. 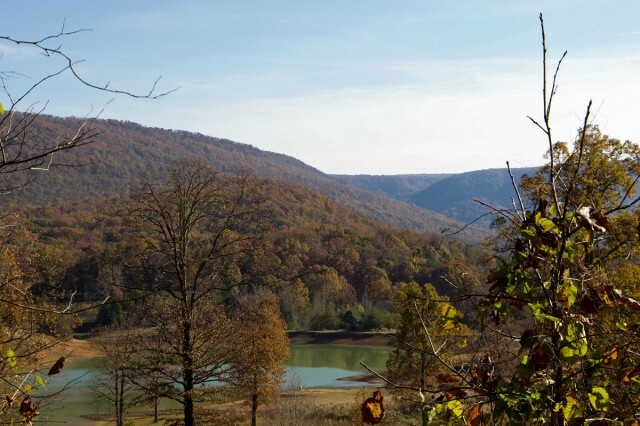 The Southeastern Cave Conservancy, Inc. recently received a donation of more than 2,300 acres in Northwest Georgia from an anonymous donor, as well as additional acreage from the Georgia-Alabama Land Trust, Inc. Together, the donated property constitutes most of the failed development called the Preserve at Rising Fawn, located at Johnsons Crook in Dade County, Georgia. For over six years, Georgia-Alabama Land Trust worked to protect many parcels in the failed development as they became available, through the acquisition of land and through conservation easements. It now holds a permanent conservation easement on all of the land in the Henson Preserve. The Land Trust’s Johnson's Crook Project was accomplished through private and corporate donations, and support from foundations such as the Open Space Institute's Northwest Georgia Land Protection Fund. Open Space Institute’s Northwest Georgia Land Protection Fund is made possible with funding from the Lyndhurst Foundation and the Benwood Foundation. The Northwest Georgia Land Protection Fund seeks to build capacity of land trusts working to protect ecologically significant landscapes in northwest Georgia. Crook and the opportunity for conservation began the efforts to protect the land and make the preserve a reality. The Conservancy will work with community partners to develop a master plan for the Henson Preserve. “Conserving this amount of land comes with a lot of responsibility and cost. Stewardship, trails, and basic recreation structures can be costly. We will need the input and support of many partners to make the Henson Preserve a North Georgia destination,” stated Knott. About Southeastern Cave Conservancy, Inc. (SCCi): SCCi is the world’s largest land conservancy solely dedicated to saving caves. SCCi protects more than 170 caves on 4,500 acres in six southeastern states. Founded in 1991, SCCi is a 501(c)3 charitable organization. To learn more about SCCi and wild cave conservation, visit www.SaveYourCaves.org. About Georgia-Alabama Land Trust: The Georgia-Alabama Land Trust, Inc. is a nonprofit conservation organization that actively works to protect and steward land. We are the largest land trust that services the Southeastern region of the United States. For more information on protecting land in Alabama and Georgia, visit www.GeorgiaAlabamaLandTrust.org. We would like to invite SCCi memebers and their guests to join us for the 2019 Member Appreciation Day at Fricks Cave Preserve. If you are coming, please follow the RSVP instructions at the end of this email. WHEN: Saturday, February 9th. Drop in any time between 9:00 AM and 4:00 PM. The cookout will begin at 11:30 am Eastern and food will be served until we run out. We encourage you to visit the cave; have a burger or hot dog; and visit with friends. Anyone entering the cave must bring their own helmets, headlamps, and all appropriate caving gear. All gear must be clean in accordance with the SCCi Clean Caving Procedures. This requirement is to prevent the unintentional introduction of foreign bacteria, fungus, and other microscopic life forms into the highly sensitive cave environment. Anyone who does not have appropriate gear, or whose gear has not been cleaned as described above, will not be allowed to enter the cave. Because the fungus that causes White Nose Syndrome in bats has been confirmed in Fricks Cave, anyone visiting the cave must also clean and disinfect their gear before visiting any other caves. 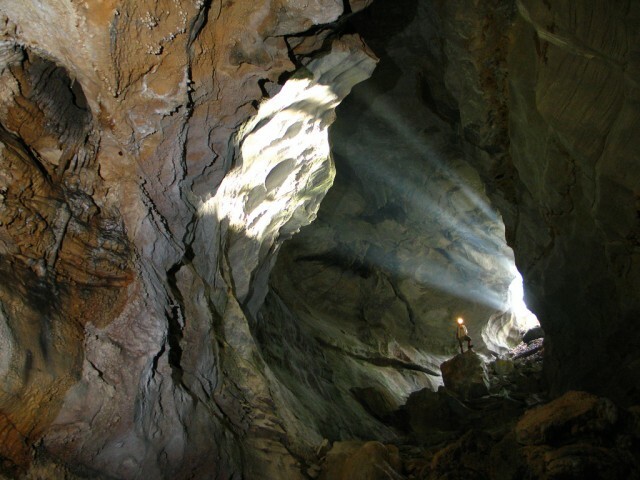 There are no guided caving trips; at least one member of each group must have sufficient caving skills and experience that they can navigate their group through the complex passages of this wild cave on their own. Visitors to the cave should dress appropriately: Fricks Cave is a stream cave, and can be very cold and wet in winter, even when it is warm outside. The water flowing through the cave will be cold; visitors should expect to get wet at least up to an adult's knees, and may also get quite muddy; polypropylene or other synthetic underwear as a base layer will help reduce the very real potential for hypothermia. Anyone planning to visit the cave should plan to have a complete set of dry and warm clothes to change into after visiting the cave. There are no indoor facilities at the preserve. We hope that you will make plans to join us for this unique opportunity! This year we are combining the RSVP process with the release signing process. The link below is to the online release form for this event. Each adult should sign their own release. After clicking on the link, click NEXT while reading through the release. Parents/guardians with minor children should add the minor's name in the minor box. One minor's name per line. Upon arrival, we will confirm you have signed the online release and give you a wrist band. All attendees (caving or not) should sign the release. The Southeastern Cave Conservancy, Inc. (SCCi), the largest land conservancy in the world solely focused on protecting wild caves, recently announced the award of two grants through its annual Science Award Program. Scientific research is an integral part of SCCi’s work. It is essential to conserving cave and karst resources. "Buying caves to preserve and protect them is a noble endeavor. It is what SCCi is known for.” Says Dr. George Veni, Executive Director of the National Cave and Karst Research Institute and President, International Union of Speleology. “But effective preservation and protection is often impossible without good scientific research to identify needs and best management practices. SCCi's Science Awards Program helps assure their caves are sustainably managed, and supports both established and young scientists' focus on much needed cave and karst research." (1) Drs. Cathy Borer and Angela Poole, of the Department of Biology, Berry College in Rome, Georgia for “Molecular identification of plant roots” to be conducted at Howard’s Waterfall Cave Preserve, Georgia. The researchers will develop and test molecular techniques needed to identify plant species of roots that are exposed in cave walls and ceilings. The researchers note that root physiological studies done at the land surface are difficult to conduct without damaging roots and influencing their physiological processes while exposing them for study. However, roots exposed in caves allow for easy access to plant roots for study and most importantly they can be sampled with minimal damage to the root system for analyses. In order to properly study root physiology, the plant species must be identified first. Thus, this study will develop and test molecular techniques to identify the plant species from root samples. The SCCi has awarded $1,500 to support this important research. (2) Joe Lamb and Dr. Yong Wang, of the Department of Biological and Environmental Sciences, Alabama A&M University in Huntsville, Alabama, for "Abiotic factors influencing cave use by salamanders in northern Alabama.” This study forms part of Joe Lamb’s M.S. thesis. The researchers note that cave salamanders have strict environmental tolerances (temperature, humidity), and that their abundance and diversity are an indicator of the health of a cave environment and perhaps the ecosystem health of forest systems surrounding caves. Joe and Dr. Wang will determine salamander abundance, density, and diversity in the near-surface parts of Tumbling Rock Cave Preserve in Alabama. The SCCi has awarded $1,500 to support this important research. 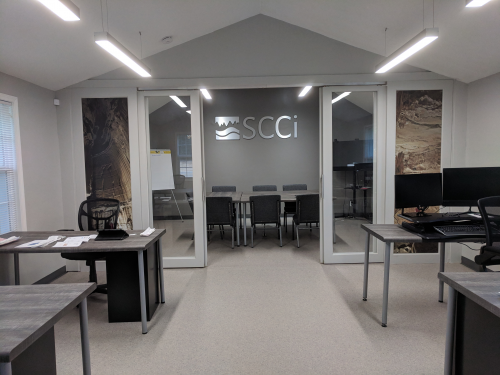 The Southeastern Cave Conservancy, Inc. (SCCi), the largest land conservancy in the world solely focused on protecting wild caves, recently moved into its new office space at 2213 Fairmount Pike, Signal Mountain, TN. The new office will allow SCCi to grow its staff and volunteer base is as it continues to acquire and protect more caves. "Our growth plans reflect 27 years of progress," says Ray Knott, Executive Director of SCCi. "Since SCCi started in a living room in Atlanta, we've come a long way in protecting more than 170 caves that span the Southeast US. But stewardship of these underground treasures is never-ending, and we need fresh ideas and more allies. With this new space, we'll be able to better foster collaboration with our donors, members, and conservation partners." SCCi's work is vital to the effort of environmental conservation. "The Southeastern US is home to some of the most beautiful and scientifically significant caves in North America. But sadly, many of them are under threat of destruction from development or misuse. So we work to protect and preserve these caves for you, for future generations, and for the hundreds of endangered species that call them home," Knott said. About Southeastern Cave Conservancy, Inc.
Southeastern Cave Conservancy, Inc. protects and preserves caves through conservation, education, and recreation. When caves are safeguarded, fragile ecosystems are protected, historic artifacts are preserved, and endangered species thrive. SCCi is a 501(c)3 nonprofit organization based in Signal Mountain, Tennessee. Visit SaveYourCaves.org for more information. At approximately 7:30 pm (Central) on Saturday February 10th, Huntsville Cave Rescue Unit was dispatched to SCCi’s Tumbling Rock Cave Preserve. A visitor hurt his knee on the Wildcat Rock Pile. At approximately 11:00 pm (Central), the visitor was carried out by the Huntsville Cave Rescue Unit. Special thanks to SCCi Board Members Patty Springer and Steve Davis and SCCi Preserve Manager Nathan Williams for their onsite assistance. Incidents like this are a reminder that visiting wild caves come with inherent dangers. Accidents can and do happen. To learn more about recreational caving, visit a local Grotto (Chapter) of the National Speleological Society at www.Caves.org. JV Van Swearingen IV. Nominate cave stewards for the JV Van Swearingen IV Stewardship Award! SCCi, in cooperation with the Huntsville Grotto, is proud to announce that nominations are open for the 2017 John Van Swearingen IV Stewardship Award! The award was conceived by the Huntsville Grotto in honor of long-time member, conservationist, cave steward, and SCCi Director, JV, who passed away in 2001. It is presented annually at the TAG Fall Cave In. The open session begins at 1:00 pm Eastern time. Click here to view the August 2017 Edition of Bounce.